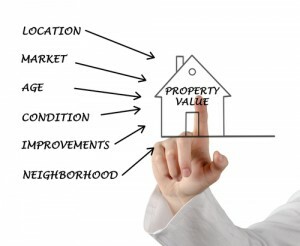 YOU NEED A LOCAL APPRAISER WHO KNOWS THE MARKET! Using a local appraiser who is familiar with the ever changing real estate market throughout the Maryland and Washington DC is crucial. We pride ourselves in providing the highest quality detailed appraisal reports in the industry. With over 14 years’ experience providing Residential Real Estate Appraisals in Maryland and Washington DC, you can rest assured that you are receiving a quality and dependable report for all your appraisal needs. We are FHA and VA Certified and have extensive experience appraising properties for major banks and financial institutions as well as attorneys for bankruptcy, divorce litigation and estates. Our Maryland and Washington DC Appraisal Certification means that you can submit our appraisals to the state for tax appeals as well. Whatever your appraisal needs, you have come to the right place. A death in the family is never easy. Let us help ease the burden during this difficult time with an estate appraisal. Knowing the true value of a property will help you make decisions that will be best for your family as you make the transition. We understand that you may be going through tough economic times and we can refer you to the area’s best attorneys. If your property is included in the Bankruptcy filing the trustee will require an independent appraisal of any real property assets you own. If you feel that you are paying high taxes due to an incorrect tax assessment, we can provide you with an accurate market value appraisal which may lower your tax bill. In our experience, presenting an independent appraisal, at your tax appeal hearing is the key to successfully lowering your tax bill. In today’s volatile real estate market a home appraisal is the only way you can truly know what your home is worth. Realtors are not trained in the appraisal process and are unaware of core appraisal principals. You need an expert to analyze the market and provide you with a full comprehensive appraisal report. Nobody likes to go through a divorce. Asset division is an essential and important part of the process. 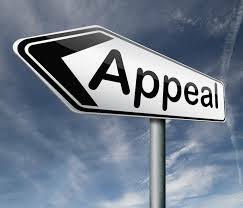 Let us assist you in making sure the appraisal is fair and equitable. We have worked with several law firms in the area and have been admitted as expert witnesses in both the State of Maryland and Washington DC. From purchases to refinances, we are approved with most local and national lenders to provide quality mortgage lending appraisal services. We are FHA and VA approved to perform appraisals in federally regulated transactions for banks and credit unions in Maryland and Washington DC. Real estate valuation is what we do. Do not trust the value of your property to an agent or anyone else who claims they have expertise. We provide all services for residential real estate that will give you peace of mind knowing that your appraisal was completed by an expert who is known and respected in the field. With 14 years of experience in the local area, our appraiser knows the market and can assist you with any appraisal need. With our reasonable fees and prompt service, we GUARANTEE that you will be completely satisfied. Many appraisal firms can take weeks to get back to you. At MD Appraisers, we know that your time is valuable and you don’t have that kind of time to wait. We pride ourselves on our accuracy, speed and customer service. You won’t be sorry that you allowed us to serve you.